At The Walkden House you get a great breakfast included in the price of your stay. Cereals or fruit and yogurt for starters, and there is also unlimited tea, coffee, toast, orange juice and water available throughout the breakfast. Breakfast consists of fried bread, sausage, bacon, egg, hash brown, beans, fresh grilled tomato, and mushrooms. 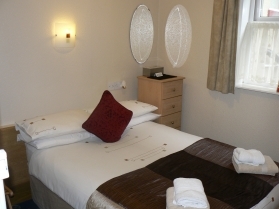 We don't believe in just providing an area to sleep in - we feel you should enjoy your stay with us as much as possible! To this end, as well as providing the highest level of comfort we can including a lounge and bar area for you to relax in. Contact us to book your holiday today! 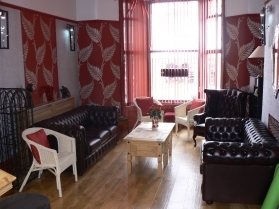 We are situated on Hornby Road just off of Central Drive in Blackpool. There is no parking at the hotel, but we are close to both Central and Hornby Road car parks.